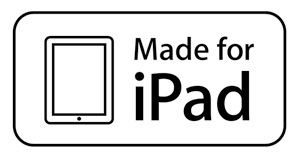 I have been trying to find a really simple metaphor for clients, students and other industry professionals to help them better understand the complex world of multi-platform. Also completing the last few chapters of my Networked Media Storytelling book I needed a big but simple metaphor. One of the biggest issues I have faced over the years is rooted in the question “I tell stories on one or two platforms why do I need to reach out onto other platforms and how?”. I often reply with a long answer that falls into a few categories (1) Audience have fragmented 2) Business models have shifted (3) Engagement and social needs have altered (4) Have you noticed a general decline in traditional media? (5) Your stories can be improved exponentially if you ‘transmediarize’ them etc: I obviously leave the more fundamental ‘how to’s” to my consultations or workshops and a key element of that is what are the new platforms combined with how to design your story appropriately for them. So for a few workshops & talks recently I developed a simple ‘graphic’ which demystifies some of the challenges storytellers face. 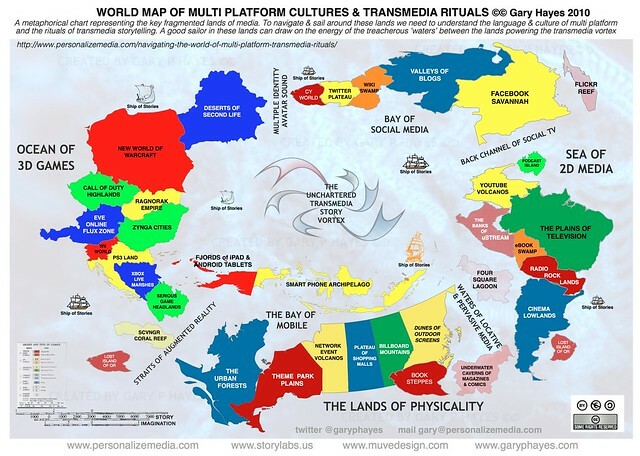 This post describes the motivation and deeper thinking behind the World Map of Multi-Platform Cultures & Transmedia Rituals. How to understand this new world and how to navigate the relatively uncharted waters? Around 40 years ago the opportunities for storytellers were both limited and segregated. By that I mean it was hard to truly make your media work across multiple distribution channels, sure you could do the whole film of the whole book or the whole radio play of the whole comic but the concept of placing ‘isolated’ narrative elements of your story appropriately designed for each and meant to ‘move’ users between them was a pretty alien concept. The more sophisticated story form within multi-platform (transmedia) was also hard to achieve due to the commercial gate holders on each platform wanting the ‘self-contained’ whole – not bits and pieces that also promoted competitors or drove traffic away. But as we all know between 1990 and the present broadband internet, social media and mobile technology changed the landscape in a not so subtle way and old school media creative thinking is not relevant anymore in this altered landscape. Wow how things have changed. Like our physical planet mass media and its internal cultures has splintered, the land masses moved apart leaving a complex environment to navigate. 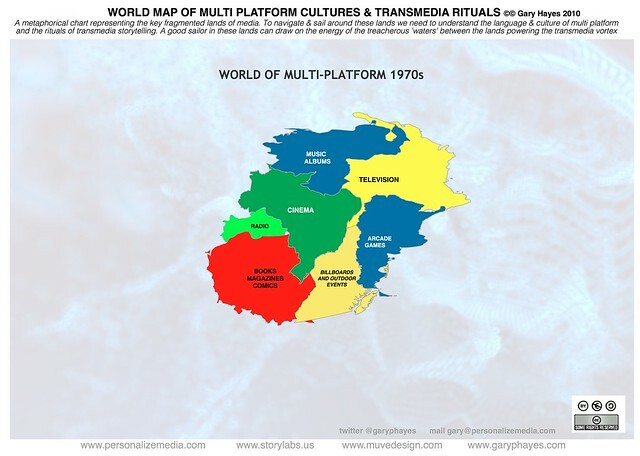 Looking more closely at my map, consider the hybrid media ‘waters’ that separate the lands. Between Games and Physical Lands/Mobile we find the ‘Straits of Augmented Reality’ – meshing the digital and the real. It is fascinating to see how quickly Augmented Reality (AR) is permeating our lives and the blogosphere. But what will the mass adoption of mobile devices that allow you to layer ‘virtual story worlds’ over the real world mean for new forms of entertainment & marketing? Also what will it mean when celebrities and audience/users, begin to merge – avatars appearing in broadcast TV and film/gamestars composited into our homes? I have posted about the cross-reality evolution over the last 3 years on this blog under a general mixed-reality umbrella. Now we have every blogger & journalist talking about their AR engaged iPhone, DSi, PSP or smart mobile as if they have discovered some advanced alien technology. But is it really is a game changer, a new playground for storytellers? A window to another world at one end through to a simple layered utility at the other. Actors and fantasy characters deliver lines, embedded in real world scenes, you find the hidden virtual treasure, the historical or future backstories and clues, video, sound, images – even fellow ‘players’ morph into strange aliens or dissapear, you leave red herrings or leave help for other players the possiblities, endless.